Britain stood alone. The BEF had been routed but, due to the ‘Dunkirk miracle’, most of her manpower had returned albeit without their transport and heavy equipment and guns. There was no doubt that the Nazis planned to invade – all intelligence pointed that way. In the event it never materialized, thanks to the outcome of the Battle of Britain and Hitler’s decision to invade Russia. 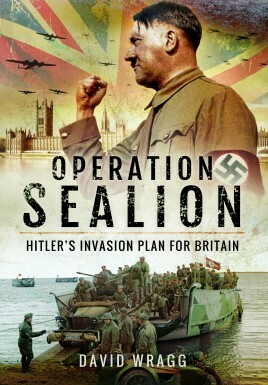 Operation SEALION examines just how realistic the German threat of invasion was. The author studies the plans, the available capability and resources, the Germans’ record in Norway and later Crete. The author weighs these against the state of Britain’s defenses and the relative strengths of the land, air and particularly naval forces.